Hello, I was hoping that someone may be able to give me some advice on what to plant in this bed/border along my drive. Also a small peony and well established sedum that’s been there for many years and does flower despite the shade - but I will be moving them to a sunnier site in the garden. How wide is the border ? If it's not too dry you could try astilbes, astrantia, or some of the shade loving hardy geraniums. Thank You AnniD, It’s about 40cm wide at the far end and 50cm at the near end and approx 10 meters long. Ive tried growing Hostas and they just never made it (not sure what I did wrong) along with a Fatsia Japonica that was in the far corner that initially did really well and looked stunning and then all of a sudden started losing its new shoots/leaves and then the entire thing went droopy and just died so I ended up digging it out a few weeks ago. The DH and I replaced all our fences today as they were falling apart and over run with ivy and now the border is clear and I’m ready to try again. Will definitely give Astilbes and Astrantia a try - I didn’t consider them for that space so really appreciate your help. Thank you so much. I'd plant some spring bulbs and plants later in the year, I'm thinking Crocus,Snowdrop and some of the species Narcissus. They'd give such smashing colour for months during late winter and early spring. You can follow on with Digitalis which grow well in shady conditions and there'a a huge variety to choose from nowadays. You could start them off by seed this year to have them flower next April or May. Honesty which is also biannual can be sown this year and will bloom next year. The white variety really stands out in shade. 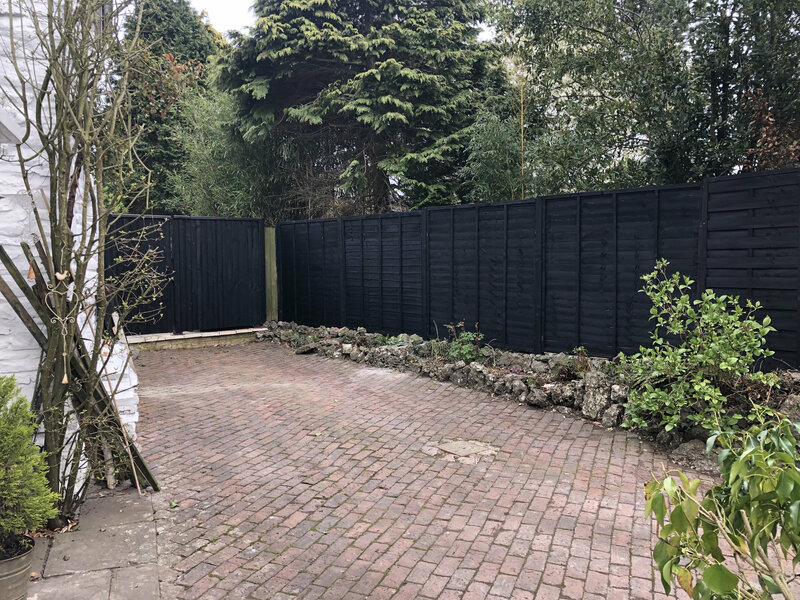 Any chance of painting that very dark fence a lighter colour? That would make the most of the little light the border gets. I quite like the fence colour. You could try Thalictrum delavayi... there's a white version that would look very good against the fence. I always mention it, but I really like Luzula nivea and it will take dry shade. Ferns would look nice. Thanks everyone for the input, spent the day yesterday working on that area, I dug over the border, raised the stonework, added more top soil mixed with organic matter and now have a reasonable planting depth. Also managed to squeeze in a quick trip to the local nursery and picked up a few foxgloves (digitalis Alba) a Japanese anemone ( said it was suitable for partial shade a white hemerocallis (again suitable for partial shade) a few astilbes and aquilegia. I chose all light coloured flowers so they pop against the dark fence. Planted them all yesterday and the area is looking a bit tidier - it does need a lot more plants I feel, but I’ll wait and see how these plants do before I add more. Thank you everyone for your help.